Idyllic wine country hotel... Welcome to the newly renovated Travelodge Healdsburg - Sonoma Wine Country in beautiful Healdsburg in the heart of Sonoma Wine Country.Enjoy value-added lodging at the Travelodge Healdsburg - Sonoma Wine Country in the heart of the Sonoma County Wine Country, only 70 miles north of San Francisco. Enjoy a superb location near world-class wineries offering tasting rooms, wine tours, as well as other exciting, local attractions. Guests are amazed to learn that there are nearly 60 wineries within just 15 miles of the Travelodge Healdsburg - Sonoma Wine Country.Experience a thrilling Sonoma County destination by enjoying a variety of outdoor activities on the Russian River or experience a Hot Air Balloon Ride up over the beautiful landscape of the Sonoma County Wine Country. 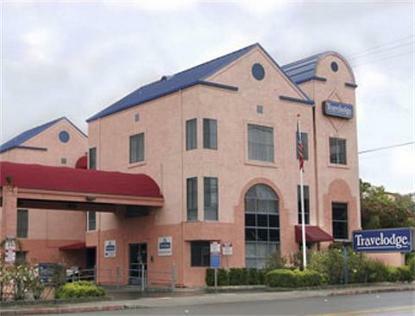 A variety of packages including a California Golf Package, Sonoma County Biking Package, or a California Wine Tour Package have been created to maximize your experience in Sonoma County Wine Country.Guests of the Travelodge Healdsburg - Sonoma Wine Country enjoy amenities such as Free High Speed Wireless Internet, Continental Breakfast, Outdoor Redwood Gazebo Patio, perfect place for a BBQ, and our Whirlpool and Sauna to unwind after a long day of wine country travel.Our Cancel Policy is Sunday To Thursday with a Credit Card 72 Hour 4pm. Fridays,Saturdays, Holidays and Special Events is with a Credit Card 90 Days 4pm100 Per Cent Non-Smoking Hotel - A Charge will apply a minimum of 200 Dollars when Smoking. Valid CC Required at Check In, Valid CC Required on all Reservations. Maximum Occupancy of 2 persons per room. No Rollaways or Cribs. No Pets Allowed in Hotel or on Premises. Property does not have an Elevator, although we have 3 Stories. Reservations are Non-Transferable.